There are tons of motivational prompts for your child to choose from. These inspiring topics make for interesting speeches for kids of all ages. 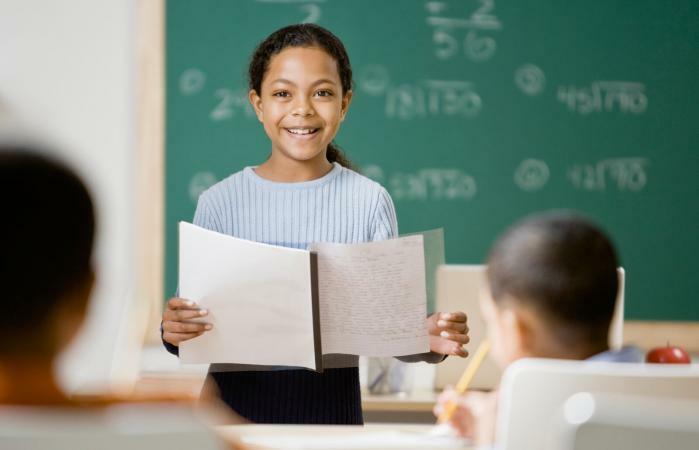 These topics can be used to help get your child's creativity going so they can write a great speech for a school-related project or speech class. Younger kids can motivate their classmates and friends as much as an adult can. Encourage your little one to think about topics that are meaningful to them. Older kids may have to write speeches for a class or come up with an idea for public speaking practice. Talk through some options with them to see which question or prompt gets them excited. 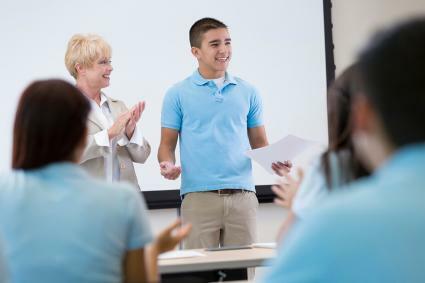 The more passionate your teenager is while giving their speech, the more engaged their audience will be. There are tons of topics and prompts that they can consider using. Writing a motivational speech can be tricky. To help your child capture their audience's attention, be sure they start their speech off with a bang. To do so you can encourage them to tell an interesting story or pose a question where they invite the audience to think about or answer. If your child needs help, talk through the topic and encourage them to write a speech about the topic or prompt that interests them the most.